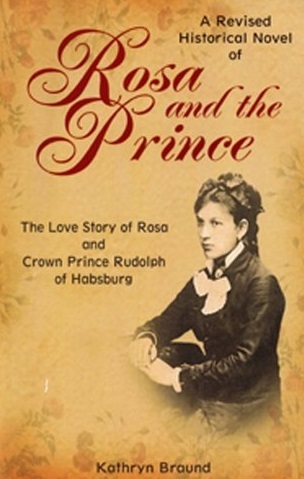 Abused by her uncle and disowned by her father, 16 year old Rosa is "given" to Henry, a forester, who is traveling from Budapest, Hungary to the Austrian Alpine to work for the Royals, the Habsburgs. There she meets Crown Prince Rudolph of Habsburg and his cousin, Archduke Otto. Crown Prince Rudolph and Rosa begin their romance after her husband's accidental death. Rudolph takes Rosa to Vienna. He places her under the protection of a Countess. The story of their love affair is a passionate, unforgettable and heart-wrenching story. It will deeply affect anyone who has suffered love and subsequent loss. I hesitate to be critical of the this one because it was inspired by a family story, but I can't say I much enjoyed Kathryn Braund's Rosa and the Prince. With all due respect to the author, I can not bring myself to agree with her perception of Rudolph. I own several nonfiction titles on him, many of the same titles listed in Braund's bibliography in fact, and nothing I've come across has led me to believe the Crown Prince was a particular romantic. In point of fact, my obsessive research has led me to understand that to popular view of Rudolph is a fantasy shaped largely by unsubstantiated rumor, various cinematic adaptations of his short and tragic life and fictions such as this. In addition to my opposition to the author's portrayal of Rudolph, I felt the storytelling exceedingly rough. For example, many of the opening chapters are told from the perspective of Henry Behrens which is somewhat awkward as Braund paints him as a crude, offensive personality who Rosa herself doesn't even like let alone love. I have to wonder what led the author to tell anything from his point of view as her regard for him is clearly lacking, his importance to the story is minimal at best and when her intent in writing the piece is to glorify Rosa's subsequent relationship with the Crown Prince. It makes no sense and as a reader I was most disappointed by the author's inability to recognize how this choice undermines the main storyline and the confusion it brings to her audience. Is the book based on a real relationship? I'm sorry, but I am not in a position to say. It might very well may be true as I've found nothing to disprove it, but by the same token, this fiction is also the only account I've come across indicating it to have happened. This being the case my comments reflect only my opinion of the story as written by Braund and in that regard I can honestly state I believe Rosa and the Prince to have been shaped more by the author's romantic idealization of family lore than verifiable historic fact. I wasn't born to be forced into a loveless marriage. I've never wanted to be a husband, but because I am a Habsburg Prince, I am a sacrificial lamb. Conviction, a satirical, original sequel to Jane Austen's timeless classic Pride and Prejudice, reveals the romantic destiny of Georgiana Darcy. The author, however, does not rest on the laurels of Austen; she introduces an entirely new cast of characters, including an ambitious soldier, a wistful vicar, a flirtatious abolitionist, and an ordinary curate. 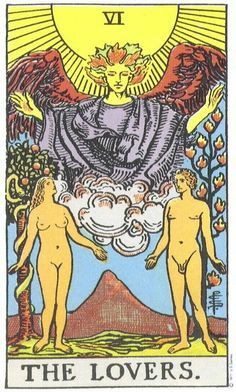 The fates of these characters intertwine as each struggles to find the conviction to live out his or her own calling while confronting issues of loyalty, courage, faith, and love. 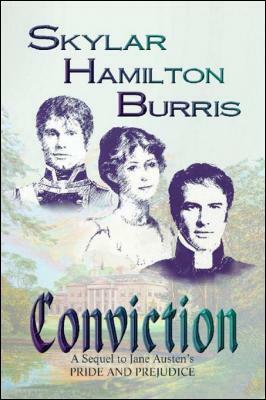 Conviction is not a novel merely for fans of Pride and Prejudice, but for all who take part in the ordinary struggles of humanity. Despite reading several of them, I've never been a particular fan of re-tellings of Pride and Prejudice as they almost never live up to the original. Still, Skylar Hamilton Burris has come nearer than most with her first solo piece. I've seen several film versions of the novel but I think the 2005 portrayal of Georgiana Darcy by Tazmin Merchant is my favorite. The young actress captured the shy innocent child seen in Austen's masterpiece. Perhaps this is why I liked Burris' characterization so much. She captured those same characteristics in her portrayal of Georgiana when she published Conviction the year before, but the nature of her work allowed her to expand on them and showcase how they might have shaped the woman Georgiana might have become. Burris' treatment of Austen's characters and the world they inhabit is respectful, but the genius of the piece is that she doesn't attempt to match her predecessor stroke for stoke. Her work gently incorporates more political themes, introduces entirely new characters and is written in a voice that is all her own. Being that Conviction is written as a sequel the comparison was inevitable, but this is not an author who wished to appear as someone other than herself and I found I appreciated her all the more for it. To say I found Burris' approach refreshing is an understatement. It is a welcome change and one I wish more authors would adopt. Conviction is an admirable followup to the original and well worth looking into. Major Talbot had praised her for her sweetness, her beauty, her innocence and for her excellence in those fields society deemed 'accomplishments'. Yet he knew little of her mind and soul. The sensational murder of Dr. Harvey Burdell in his lower Manhattan home made front-page news across the United States in 1857. "Who killed Dr. Burdell?" was a question that gripped the nation. 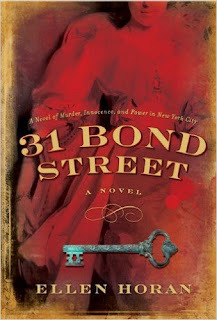 31 Bond Street, a debut novel by Ellen Horan, interweaves fiction with actual events in a clever historical narrative that blends romance, politics, greed and sexual intrigue in a suspenseful drama. The story opens when an errand boy discovers Burdell's body in the bedroom of his posh Bond Street home. The novel's central characters are Dr. Harvey Burdell, a dentist and unscrupulous businessman; his lover, the ambitious, Brooklyn-born Emma Cunningham; the District Attorney, Abraham Oakey Hall (later to become mayor of New York); and Henry Clinton, a prominent defense lawyer. The enigmatic relationship between Emma and Dr. Burdell makes her the prime suspect, and her trial is nothing less than sensational. 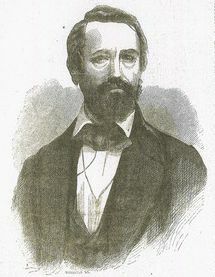 The murder of Dr. Harvey Burdell and the subsequent trial of Emma Cunningham captured the public imagination when it first appeared in the papers. New Yorkers eagerly anticipated each and every tidbit of information regarding the deceased dentist, the assumed mistress claiming to be his wife and the court room drama surrounding the question of her guilt. Ellen Horan's 31 Bond Street brilliantly recaptures that fascination, revitalizing it for an audience far removed from the pre civil war America in which it occurred. One of my favorite aspects of the book was not the characters or even the events of which they are a part, but the backdrop on which the story takes place. New York City in the mid-1800s was a veritable cesspool for the greedy and corrupt. The titillating homicide of a prominent citizen with a shady reputation provides a perfect platform to showcase the ugly underbelly of the city's history. Not only did Horan recognize this, she took and ran with it, exploring every angle from the unscrupulous political machine that tainted every branch of the city's government to the unethical practices that characterized her business interests. This attention to detail caught me hook, line and sinker from the very beginning. The subject matter alone is captivating but the obvious research and time Horan put into making it come alive in print is evident on nearly every page, her genuine interest in the story unmistakable. I truly admire such commitment not only to her readers, but also to the history the author chose to showcase. Obviously Horan can identify a story and re-imagining the past doesn't phase her in the least. I only wish I could say I enjoyed the cast as much. Don't get me wrong, these aren't poor characterizations, but as a group, they didn't quite hit it out of the park. Harvey, Emma and Ambrose piqued my imagination, but Katuma and Quietta both came short of the mark. Perhaps it is because these two have prominent roles, but no historic counterparts? I'm not entirely sure and I hesitate to assume as I was so impressed by Henry and Elizabeth, two characters who while based on real people are largely imagined by the author. All in all 31 Bond Street is a wonderful read. Ellen Horan vividly recaptures the spectacle and intrigue of the 1857 case that shocked nation. Not to be missed. Dr Burdell was sprawled in the center of the floor, his arms outstretched, and his head in a sticky puddle that had hardened like tar. His lips were pendant and blue. His throat was slashed with a wound so deep that it nearly detached the head from the torso, revealing a sinewy tangle of muscle and tiny pearls of spine. 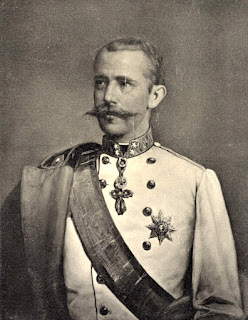 This superbly factual account of the life and death of Austria's Prince Rudolph reads like a fast-paced thriller. 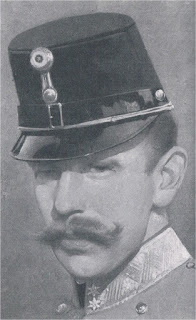 The colorful and controversial Prince--the last and most talented of the Hapsburg line--was discovered dead on January 30, 1889, in the royal hunting lodge at Mayerling. Beside him, also dead, lay his mistress, the beautiful young Baroness Mary Vetsera. What happened that day remains a mystery that has evoked endless speculation and countless dramatic re-creations--none more engrossing and entertaining than Barkeley's vivid telling. 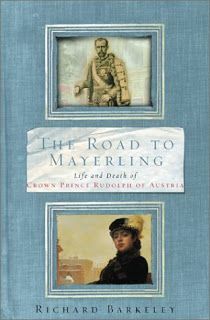 Richard Barkeley's The Road to Mayerling offers a revealing glimpse into the Hapsburg court of the late 1800s. Chronicling the life and mysterious death of Crown Prince Rudolph, I found the book well researched and detailed, but decidedly prejudicial in its glorification of the young royal and the causes for which he stood. A product of the times, The Road to Mayerling omits and/or downplays many of Rudolph's short-comings. Maybe it is just me, but I seriously doubt that his political and personal situations were as simple and one-sided as Berkeley portrays them here. While I loved the political analysis of the period and the extensive translation of Rudolph's personal correspondence, I am far from convinced by the author's conclusions. The book is probably the most complete examination of Rudolph available to American readers, but having been published in 1958, I can guarantee it lags far behind the multitude of more recent German language publications. Worthwhile reading, but like so many things, The Road to Mayerling must be taken with a grain of salt. "Out of the darkness which surrounds us... from the night of reaction, may we at last awake to the dawn of a better time in which our ideals will be victorious. First let us free ourselves from the grip of pessimism which is tantamount to submission to fate and to the loss of self-confidence. Let us always be aware that better times must come, when we shall have to answer for those principles to which we have devoted our lives." 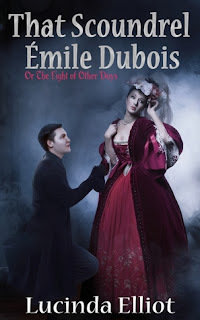 When young Sophie de Courcy, bored but patient companion to the Countess of Ruthin, agrees to marry her long-time hero, dashing French rogue Émile Dubois, she is catapulted into a dangerous world of Man Vampires and Time Warps. With the help of Agnes, her no nonsense, tarot-reading Welsh maid, she must come to terms with his scandalous past, help him defeat the evil Vampire neighbours and help Émile escape from the machinations of time which threaten to destroy their new found love. All this in just one book! 'Scoundrel' is an entertaining, over-the-top Gothic adventure, alive with colourful character comedy as it flits between Revolutionary France and misty Wales. How to describe Lucinda Elliot's That Scoundrel Emile Dubois? I've been pondering the question for some time, but nothing I put together quite seems to do the book justice. I am somewhat hesitate to make the comparison because so many have such strong feelings in regards to the classics, but reading Scoundrel took me straight back to A Tale of Two Cities and Dracula, both of which are ranked among my personal all time favorites. Elliot replicated the spirit and feel of these books in a most creative and original manner, seamlessly blending historic fiction and paranormal with good old fashioned story telling and strikingly characters in one memorable volume. One aspect of particular note was the integration of French and Welsh into the dialogue. It is one thing to set a story against the French Revolution and the mysterious Welsh hills but Elliot's use of language adds an appealing touch of authenticity that setting and description could not manage alone. Of course Elliot doesn't stop there. She also incorporates several recognizable items of note from Ann Radcliffe's The Mysteries of Uldolpho to Samuel Richardson's Pamela. I personally appreciated the reference to the Marquis de Sade and the appearance of a famous line from Thomas More, but that's the historian in me talking. 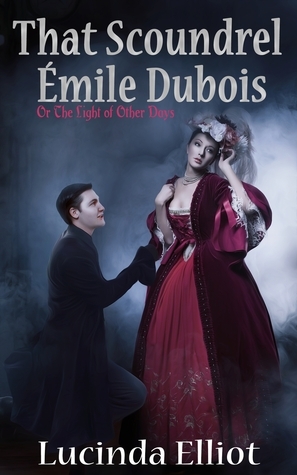 Don't make the mistake of thinking That Scoundrel Emile Dubois is yet another vampire novel for it is anything but typical. Elliot's is a richly imagined, original story, that is guaranteed to sweep you off your feet. "I cannot endure to lose you, leave alone what must follow. I have never been a vengeful man before, but that monster shall pay for this..."